If you face Los Angeles DUI charges, you might be struggling to figure out what you should plead at your arraignment and how else you should structure your defense. Some defendants plead “not guilty” because they believe the police erred and the stop was Unconstitutional. But other defendants submit “guilty” pleas to try to reduce the consequences of conviction. 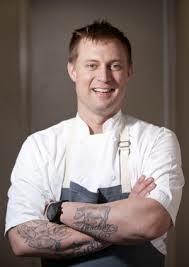 Celebrity chef Bryan Voltaggio likely wrestled hard with this very choice. On September 19, the former “Top Chef” contender entered a guilty plea in a Baltimore District Court; prosecutors had charged him with driving under the influence of alcohol on June 6. As part of the plea deal, the court sentenced Voltaggio to “probation before judgment.” Rather than spending time in jail, he will undergo a period of probation. Once this time has passed, he will have the option to expunge the incident from his legal record. • Reduced charges. Instead of a DUI, a court may find you guilty of “wet reckless” or “dry reckless” — these do not constitute misdemeanors or felonies, although the court can punish them with fines and license restrictions. • Less impact on your insurance rates. A DUI conviction can cause your car insurance rates to skyrocket, creating a drag on your budget for months or even years. • Expunge the charge from your record. Criminal convictions on your record can create long term challenges. For instance, if or when you get arrested again for DUI or some other crime, after you’ve been convicted once already, you can face far more stringent penalties, per CVC 23152. If you’re wondering whether a plea deal might make sense for you, an experienced Los Angeles DUI lawyer at the Kraut Law Group can help. As a former prosecutor, attorney Kraut has an extensive knowledge of applicable California law, and he has also cultivated strategic relationships with local judges and prosecutors. Contact the Kraut Law Group today to schedule a free consultation regarding your case.